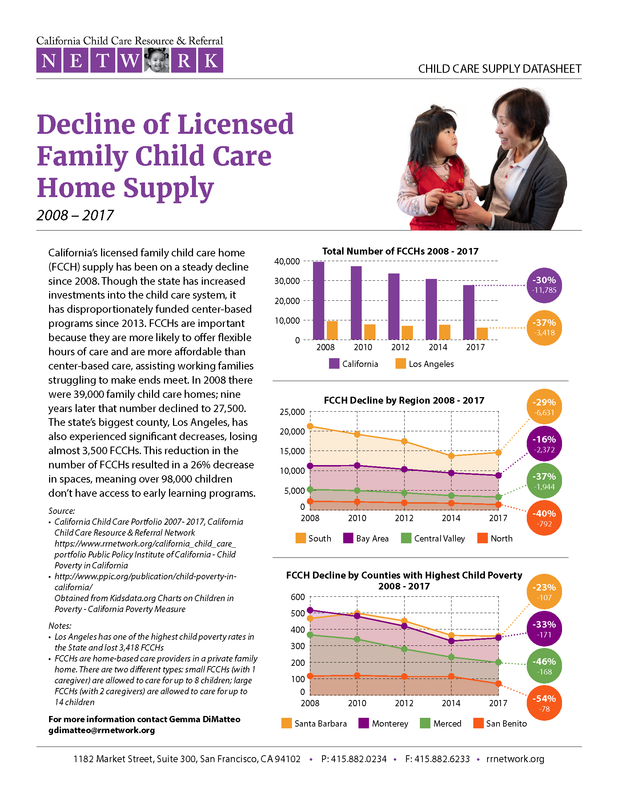 California's licensed family child care home (FCCH) supply has been on a steady decline since 2008. FCCHs are important because they are more likely to offer flexible hours of care and are more affordable than center-based care, assisting working families struggling to make ends meet. Read more in our infographic.